The Time of the City is a trans-disciplinary work with a focus on genre-city relationships as they articulate the micropolitics of urban life in diverse cities. Shifting the territorial emphasis of political studies from the mosaic of states to the global network of cities, the book draws on urban theory rather than traditional forms of official city politics. 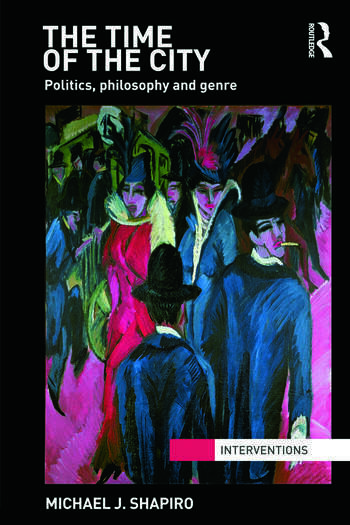 Deriving their methodological approaches from aspects of urban theory and philosophies of aesthetics, the chapters deploy concepts from philosophy, political theory, literary studies, cinema studies, poetics and aesthetic theory on diverse cities, among which are Berlin, Hong Kong, London, Los Angeles, New York, Philadelphia and Washington, DC. Investigating a wide variety of urban formations, and developing a geophilosophy appropriate to urban space, this multi genre approach to urban life provides stunning insights into the micropolitics of ethnicity, identity, security, subjectivity and sovereignty.